« Is America Becoming a Nation of Moochers? Saw this on Redstate yesterday. Funny, but it will be sad when it becomes reality. 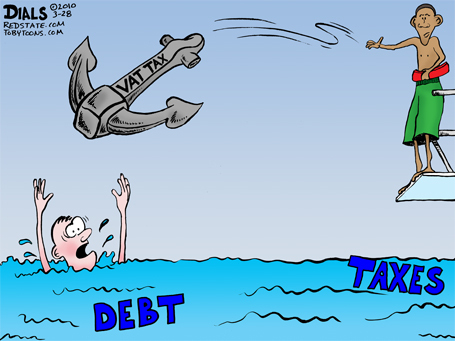 That is all about amusing cartoon on the value added tax. thanks to share it . which is really good about that. Great info to share with us. thanks for that . Nice article of about value added tax with good explanation of cartoon. thanks for share that. The value added tax is it call also vat, so tell me how to increase vat at all property value investment. love it! did you see the cartoon on the eu in the economist – charlemagne blog? very amusing too. i will put on my blog.